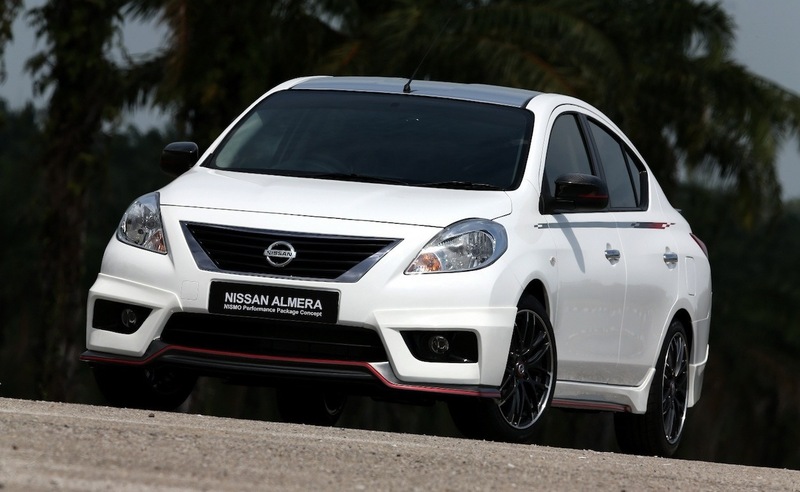 The Nissan Almera 2012 also known as Nissan Versa in the USA, Nissan Latio in Japan and Nissan Sunny in China (probably some other names in some other regions) is a compact car produced by Japanese manufacturer Nissan replacing the Pulsar, the Sentra and the Sunny, depending on the market. It is marketed as the Nissan Versa, prominently in the United States. 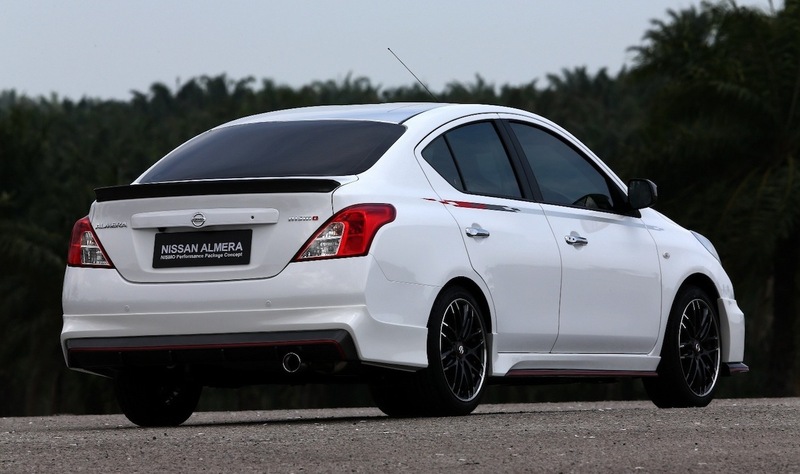 The Almera is used in the Philippines, Brunei and Malaysia - though this may be changed or varies as well depending on the preference of that mentioned countries. The local price here for this basic spec is SGD 19,086 (about USD 15,092 / EUR 11,371) and with such price one can also opt to buy the more superior Kia Rio but somehow I decided to choose this boring looking car on the basis that it has spacious interior, bigger trunk and fuel efficient engine and it has Japanese badge on it - plus I love the red color. 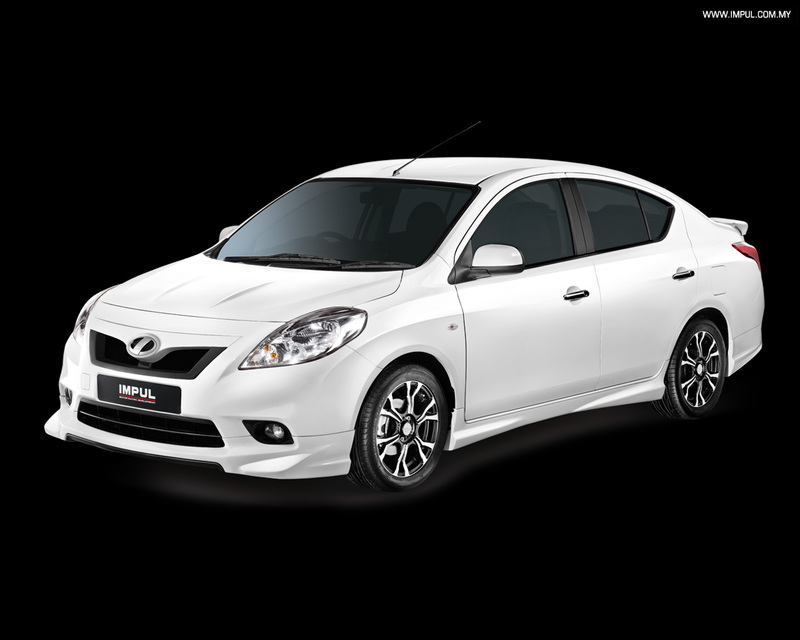 This model comes with Nissan HR15DE straight-4 engine, 1.5 Liter 109 hp @ 6,000 RPM and 148 N·m (109 ft·lbf) @ 4400 rpm. In addition, it comes with 14 inches steel wheel (14x5.5J) and Bridgestone B250 tires (175/70R14). Eventually, I switch the wheel with a set of 14 inches Volks Racing Wheel. A closer look at the wheels and tires, some people say it looks weird this way, I should use the 17 inches wheel instead but being a farmer, I'm kind of low on budget so I managed to get that 14 inches wheel for a decently cheap price and since the size is the same with the default/factory supplied wheels, I can then just use the existing tires. If I were to change to a bigger wheels, that means I also need to spend a little bit more money buying new good quality tires - usually I only buy Good Year or Bridgestone or last choice, Silverstone. Bigger wheels and tires may look cool but if you Google around, they are not necessarily the best for all cars anyway but many "average Joe" and "plain Jane" tend to get those bigger wheels and tires without doing proper research and calculation on the effect to the car's handling and body roll factor as well as speedometer issue. 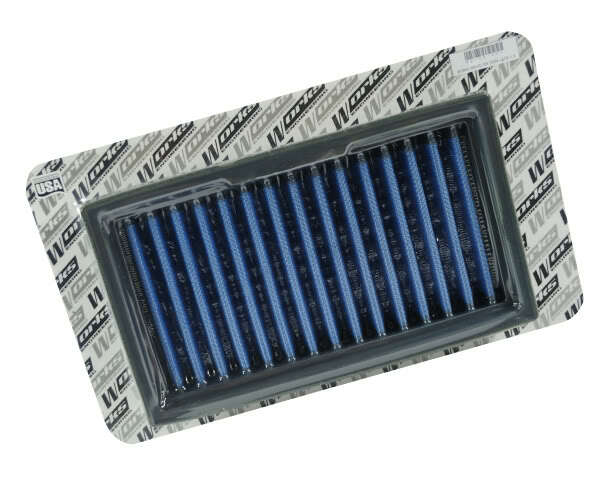 This HR15DE engine have 8 direct injectors for a more efficient spray pattern in order to produce complete combustion which also means efficient performance and fuel economy. 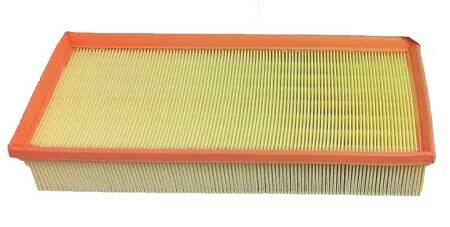 This is where we use the High Performance "Works Engineering WS-ON-004 Air Filter" which improved the acceleration a lot and some says it increase the horse power by 5% though I'm not really an expert to comment on that but for sure I feel the car have better acceleration now and I like it a lot. In fact the interior is really quite spacious or should I say "big" and that is one of the reason why I like this car. The interior surely look and feel cheap and a whole lot simple as Nissan use lots of hard plastic but I can live with that. There's a remarkably large amount of passenger space for such a small car with about 90 cubic ft. (about 2,548.52 liter) while the already impressive 14.8 cubic ft. (about 419 liter) trunk space can be extended in size by folding the rear seats flat. The back seat is one of the main highlights for this 2012 model because it offers a very comfortable seating for three big adults and even at the full stretch of the front seats, you can still find plenty of room for your legs at the rear seat. Nissan trimmed around 150 pounds (around almost 70 kg) of weight on this model (if compared to the predecessor) while reducing the parts count by 20% and that explains the simple interior design and looks which also contribute to the lighter weight which could also means economical fuel consumption. Bear in mind though there is a little bit of minor differences mainly on the air-conditioner control switches, those on the 1/43 scale model is from the so called "mid-spec" and "high-spec" while the actual car we reviewed here is from the "basic or low-spec type". 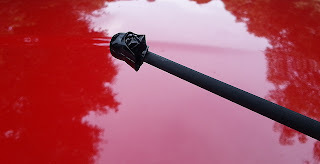 The handling of the car is typical of those similar sized and priced sedan car - braking and cornering is pretty good as long as you don't drive like a lunatics - this is a decent budget family sedan, not a high performance sports car with powerful engine and superb handling at high speed. The strut-type front suspension, the torsion-beam rear axle, and the rear drum brakes are engineered for dependable long-haul service not magnificent sporty driving experience for the enthusiasts. In this era of weak economy globally coupled with tighter rules and regulations on fuel emissions, Nissan do take this into account about the fuel economy and so far I'm pretty happy with the results I achieved with this car. Overall, this car may not win beauty pageant contest but I think it's still look decent if compared to pig with lipstick or a monkey with bikini. Nissan produces this car promising spacious interior, economical fuel consumption, it is pretty cheap to buy and indeed cheap to run and insured. So if you treat this car as a transportation to get you from Point A to B and the main selling points (spacious interior and economical fuel consumption) as well as the reliability of Nissan, then I think you may like this car. However, if you want a more sporty look, sporty feels, more features and technologies and gadgets, a much better interior upholstery quality, then you can consider other brands/models that suits your budget - the Kia and the Hyundai as starters and to the infinity and beyond probably. Probably many critics dislike this car and they will compare it unfavorably to various other models at around almost the same price points and rightly they are free to do so but I personally believed that most of the buyers of this car will still be happy with it. Nissan never produced this model to pleased the enthusiast. It is for general mass market in the "econobox car" segment who just want a simple and affordable car. In addition, if you like those additional add-on accessories like aerodynamics packages or body kits stuff, you won't be disappointed, apparently there is this "Nismo Performance Package" as well as "Impul body kits" specially made for this model - as long as you willing to spend more money. 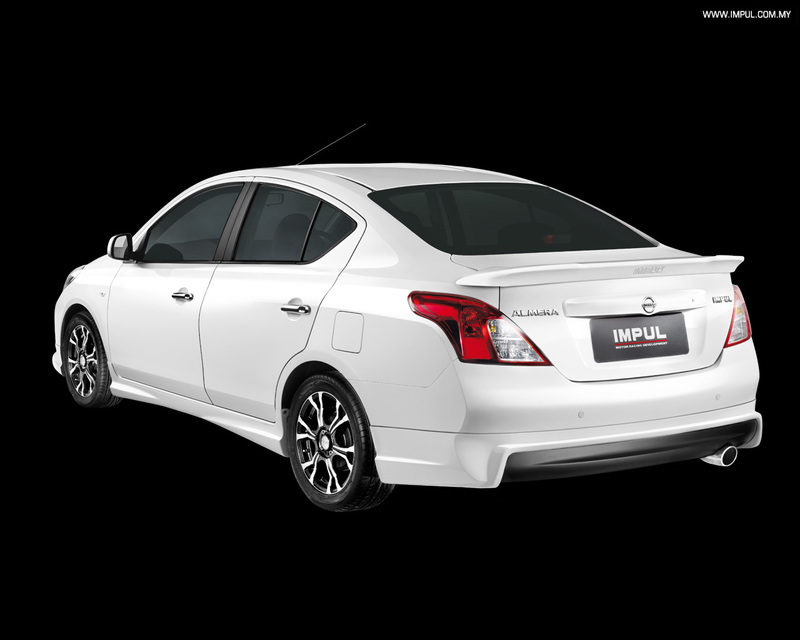 Well done Nissan, I think this is a very decent budget sub-compact family sedan and that's what this car is all about. I believe the local Nissan dealer would hope that this model can steal some market share from the popular Toyota Vios. Lastly, so far with the small 14" tires, I never have problem to reached a decent top speed of 190 km/h on the highway/motorway, it's nothing spectacular to be honest and it's not something that you can and will do day in day out but at least this car can really go up to that speed. Anyway, please always obey local traffic rules and regulations and drive safely. Nice one :D congrats on your new car, and it's red too! By the way, where is your Carina ?? ?